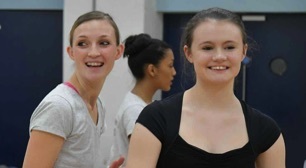 Professional Dance Experience works with dance teachers from all across the UK. 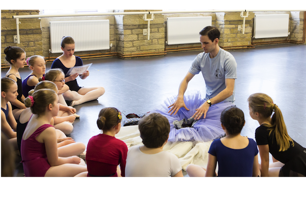 We offer Professional Ballet Workshops and Masterclasses for your students, delivered at your school, taught by an ex professional ballet dancer. We are extremely grateful to the many dance teachers who continue to support us by encouraging their students to attend our Ballet Associates Programme and our Courses. Our Ballet Teacher Seminar Day is a perfect opportunity for dance teachers to come together, share ideas and develop their understanding of classical ballet technique. Tips On Ballet Technique DVDs and videos have been enjoyed by dance teachers from all around the world. 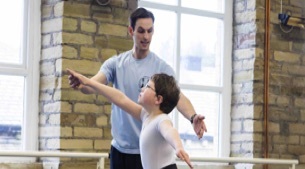 Inspire your students with a visit to your dance school for Professional Ballet Workshops on famous ballets, delivered by ex Professional Ballet Dancers. 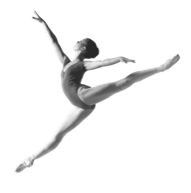 Improve your ballet technique with downloadable videos and DVDs by Kimberley Berkin. Try your first video for free at Tips On Ballet Technique. An insightful and informative day to immerse yourself in the expertise and knowledge of top professional teachers, lecturers and special guests. Designed to complement your students' regular ballet classes. Teachers are invited to watch at regular intervals throughout the year. Termly written feedback is provided for every student. Many Ballet Associates have successfully auditioned for top vocational dance schools. No audition required as we believe this opportunity should be available for every student who wishes to improve their Ballet Technique, Performance and Artistry. Designed for advanced level pointe work students. No audition required, 1 year's pointe work experience is necessary. Perfect for students to develop their strength, confidence, knowledge and pointe work technique. For ages 14 to 19. 5 exciting days of ballet, repertoire, solos, pointe work and more. Students will work with professional choreographer Louise Bennett, who has choreographed for The Royal Ballet, The Royal Ballet School, The National Youth Ballet and more. They will learn from Kimberley and Michael Berkin and Paris Opera trained fromer English National Ballet dancer, Michael Raynaud. Perfect opportunity for students to keep up their dancing over the Summer break. For students aged 8 to 19. 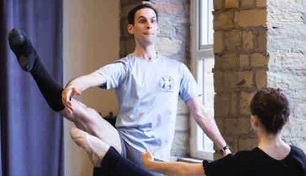 Enhance your students' knowledge and understanding of classical ballet technique with our Ballet Masterclasses. Prepare your students for upcoming exams, competitions or auditions with private coaching, delivered by ex Professional Ballet Dancers.